Spring is here, but the farms nearby are selling…pansies. It’s so hard to be patient and wait for asparagus and other early spring vegetables. So I’m cooking more supermarket broccoli, but with a springy twist. It’s almost a pantry last-minute recipe, if you happen to have fresh or frozen broccoli on hand. Tonight it’s just me and Cooper, and he really likes broccoli. 1. Heat pot of salted water for pasta. While waiting for it to boil, cut broccoli stems into strips, and cut rest of broccoli into small florets. Put in steamer and steam until just fork tender. If you use a microwave to steam vegetables, than do that (my microwave is from the 1980s so it just heats up leftover Chinese food and can be coaxed to melt chocolate). After steaming, set aside about 10 nice looking broccoli florets. 2. 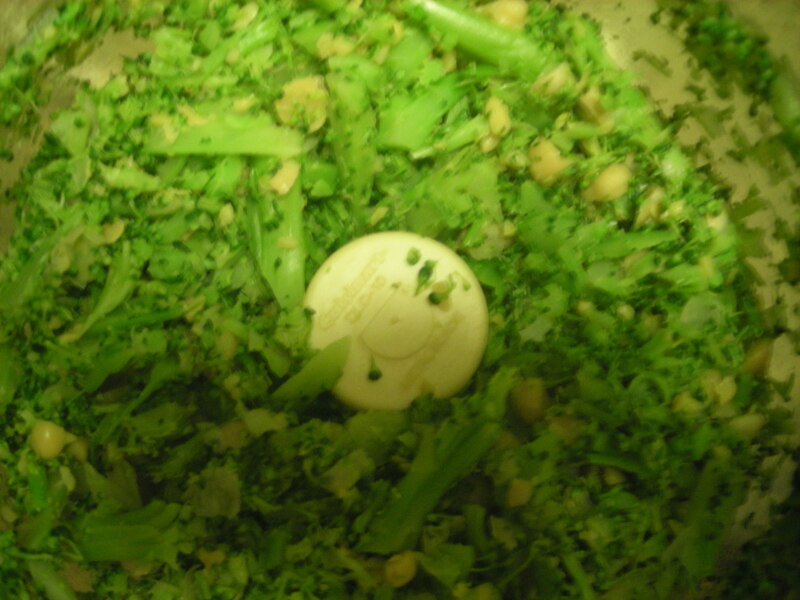 Put remainder of broccoli, chickpeas, and almonds (if using) into the food processor. Pulse until chunky, and be careful not to overchop. 3. At this point, your pasta water should be boiling. Add pasta and follow package directions for cooking time. When pasta is cooked to your liking, pour it into a collander. 4. While the pasta is cooking, heat olive oil, and saute garlic and shallot and crushed red pepper for 1 minute over medium heat. Add broccoli mixture and increase heat to medium high and saute, stirring broccoli. Add salt and pepper to broccoli mixture. 5. Toss pasta into broccoli mixture, and add set-aside broccoli florets. Garnish with the tomatoes (if using) and serve with extra fresh ground pepper. 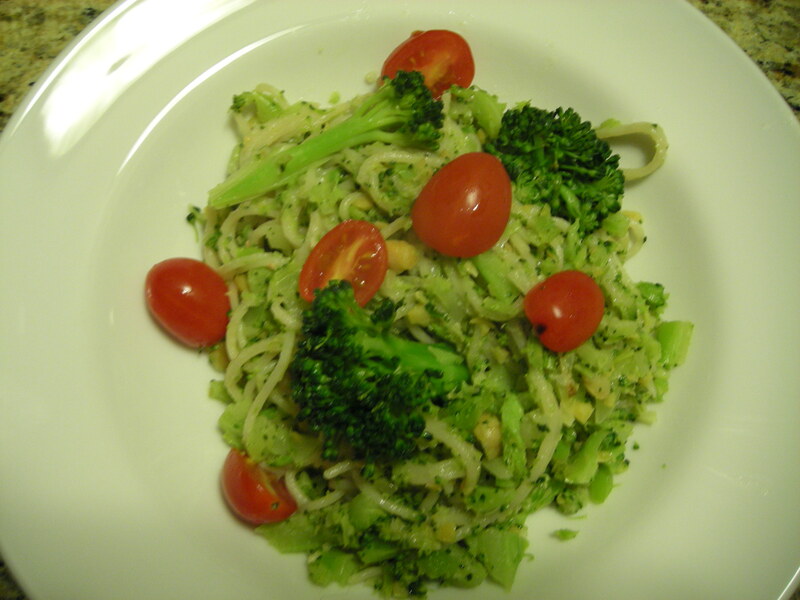 This entry was posted in Healthy, Pasta, vegan and tagged chickpeas, vegan by Amy. Bookmark the permalink. Does Cooper like high heat roasted broccoli? 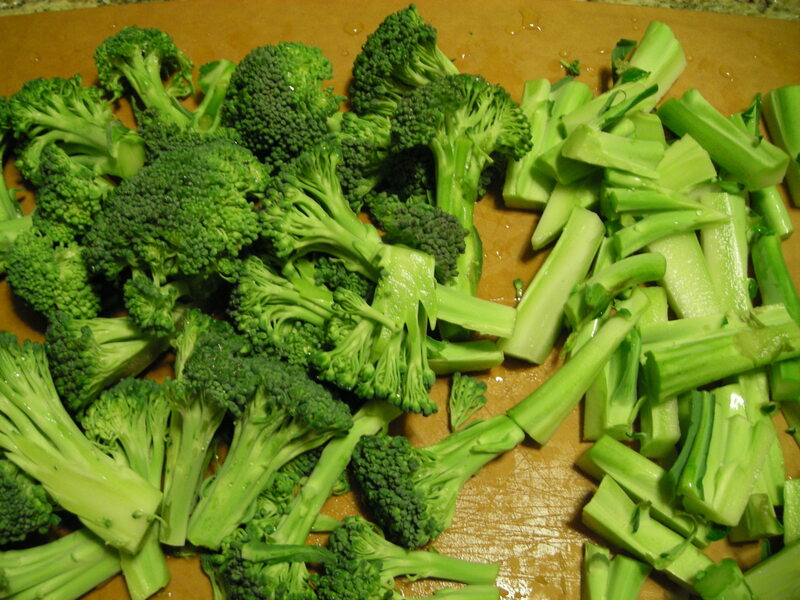 How would it be if you roasted the brocc insteat of steamed it? I love the idea of roasting the broccoli. I’ll give it a try, and yes, of course you can come over!